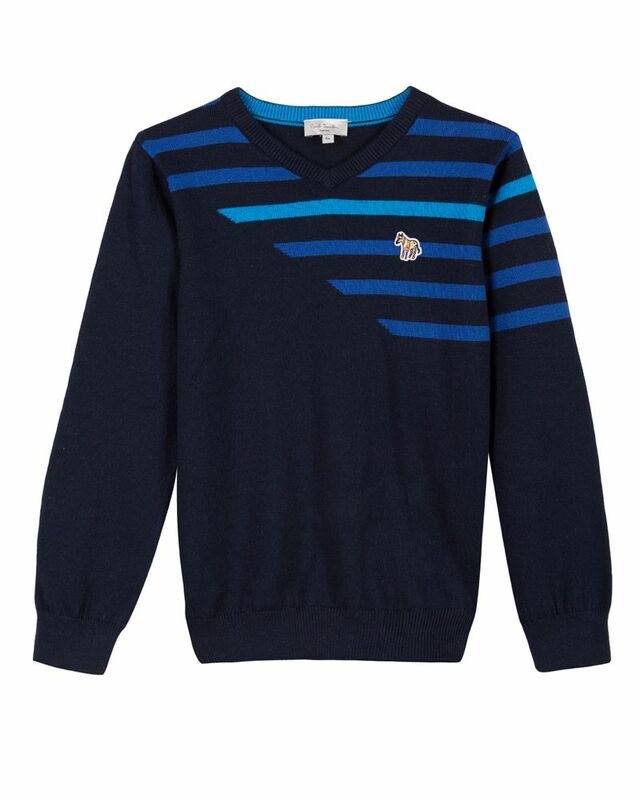 Paul Smith Junior soft cotton long sleeve navy sweater with blue stripe print and logo detailing at chest. 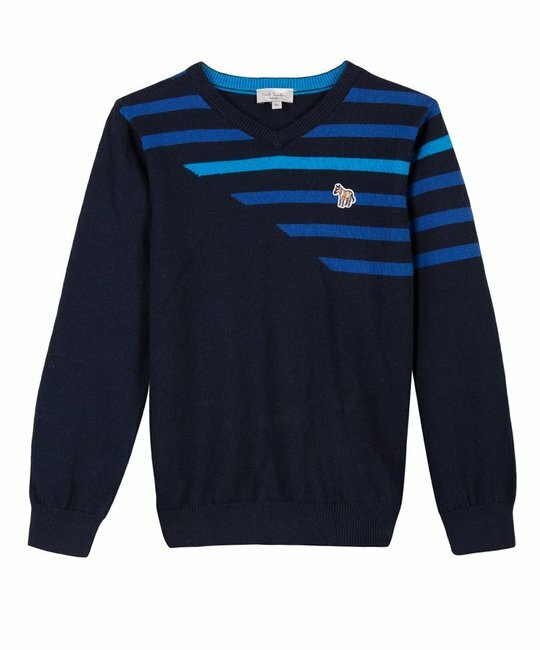 95% Cotton, 5% Cashmir. Imported.